A Prime Pursuit in Action. You never know what God may be wanting, waiting to do through YOU. Just by the fact that we are living in the United States, many of us are afforded the means through which we can do big things. I have to admit, the big things I think about doing usually involve furniture, online shopping, and travel. But if the means God has provided you could serve a greater purpose, what would that look like for you? Anyway, as an army wife, I have the distinct privilege of living amongst scores of selfless servants. People have given blood, sweat, definitely tears, limbs and lives in the prime pursuit of freedom, and it is humbling. I can walk down my street and feel overwhelmed to the point of tears knowing each family’s experience of service has cost them so much. This is truly an unrivaled atmosphere of service. The Army lifestyle is inherently time-consuming, transient, nomadic, and high-risk. So, it is particularly remarkable when you see Army couples choosing to rise above these complexities, and respond to a calling requiring even more sacrifice: adoption. An opening of home, heart, and wallet, for the sake of a soul (or souls) needing nurture and opportunity. I have three friends I would like to introduce to you, each who has gone the extra mile in every sense of the phrase, and adopted children from Ethiopia. These couples epitomize what we are trying to highlight here at our blog: following through with something hard, costly, and potentially risky in pursuit of something greater…in this case, orphans who are born into such startling adversity. They have graciously granted me the privilege of sharing their awesome stories! 1. 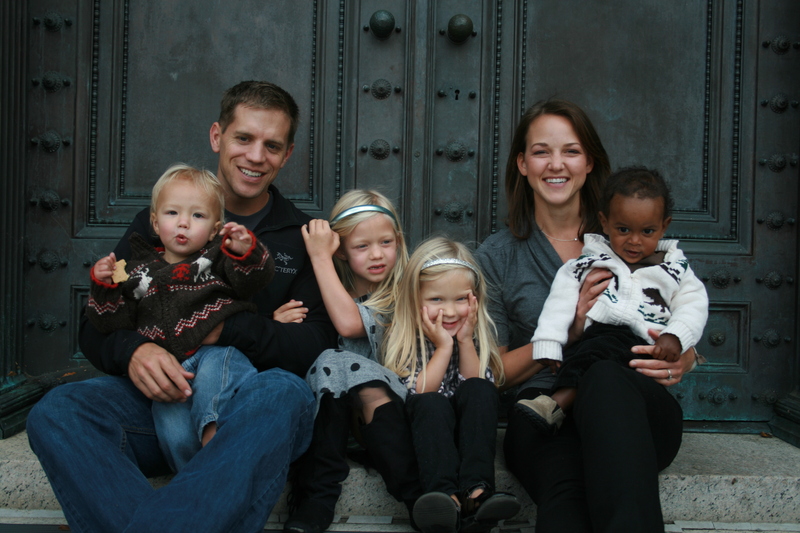 What was THE deciding factor that caused you to finally go through with international adoption? 2. What was the name of the agency you went through? 3. 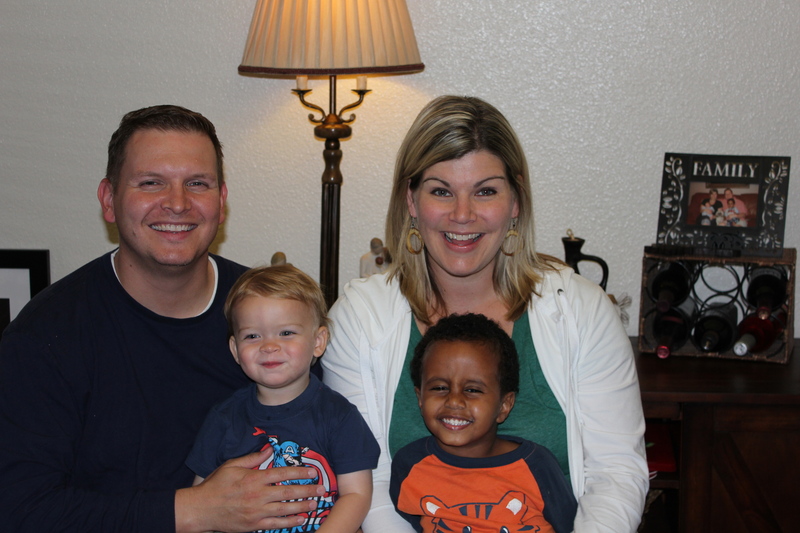 What was one unexpected joy that has come to your family in adoption? 4. What was one unexpected hardship? 5. What is your favorite Ethiopian dish/recipe? Riley, Michelle, Ellie, Saedi, Isaac (left) and Solomon (right). Michelle and Riley live here at West Point. Riley has served multiple combat tours in his career, and is currently an instructor at USMA. Michelle is a wise, strong and fast, creative, homeschooling mom with a huge heart for family. It’s too hard to peg one deciding factor regarding our adoption decision. God had been stirring in our hearts for years; finally Riley and I were on the same page at the same time. (That took 3+ years/ timing of deployments to get there!) 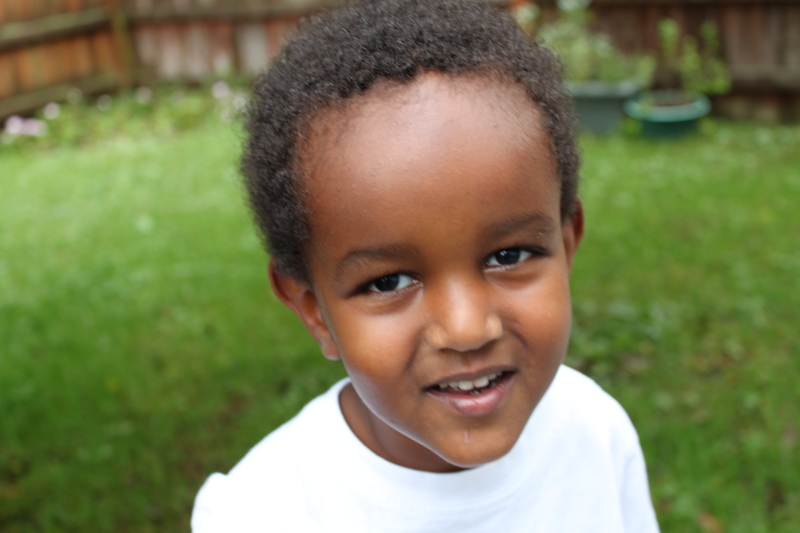 We went with Christian World Adoption for Solomon and we are using Bethany Christian Services for our current adoption. One wonderful joy is seeing how well Solomon and our biological kids love, rely on, help, and miss each other. The biggest hardship when it came to adopting was the amount of stress the 2 years of paperwork and waiting put on our marriage. Regarding Ethiopian foods, we love the popcorn that they serve with traditional coffees. We love the pastes they make from lentils as well. Marshall and Jill, Silas (right) and baby Jude. Marshall is an Army Chaplain and Jill is a loving, hilarious, super active mom with awesome style. They currently live at Fort Hood. We always wanted to adopt but when we realized the need, at the time an estimated 147 MILLION orphans, we felt time was being wasted and children needed families. We went through America World Adoption. We not only received the blessing of a fabulous son, but we also have an entire culture and country we love as our own. Ethiopia is now part of our family’s DNA. It’s hard to look poverty in the face, but once you see it you cannot ignore it. Overwhelming, yes, but realizing you have to treat people the way you want to be treated propels you forward. I constantly ask myself, “What if that were my child, my sister, etc that was starving?” It’s our responsibility to help. Hands down, Ethiopian coffee is the best in the world! Doro wat is my favorite dish. Andy and Veronica Kick are another outstanding family here at West Point. After serving many years in the operational environment, Andy is currently teaching chemistry at the Academy and he and Veronica head up the AWANA program, which is a huge undertaking! Veronica homeschools her children: Mark, Maryann, Matthew (pictured), and baby Madelyn. God specifically called us to adopt. We were not sure how it would work or if we really wanted to adopt but we knew God was telling us to adopt immediately. We went with Gladney Adoption Services out of Fort Worth, Texas. We were extremely pleased with the agency especially once we saw their work in Ethiopia. We love seeing our children all loving on each other and playing together and embracing adoption. Adoption now is part of our lives and we love that. When our daughter pretends she is a mommy, she has adopted babies as well as babies tucked in her shirt. At the same time, we never could have anticipated how difficult the sibling bonding and parent-child bonding would be. Our social worker told us that is can take five years or more!!! We like the the beef stew (Key Wot) and injera. Aren’t these women’s remarks moving?!! I just love seeing people who pursue beyond the creature comforts of our American lifestyle. While I personally don’t feel called to adoption right now, I am certainly reminded that there may be a wealth of experience that God wants to offer us, if we just are willing and open minded to remain open and free to respond to his call…even if it adds “complications” to your life. What looks like complication and inconvenience on this side of the fence might just be misconstrued judgments; what you will really get is insight, wisdom, depth of relationship, opportunity, experience. I am not that old, but one thing I have learned in my 31 years: family is the most important thing. Your impact in your family, and by extension, the world around you…is more profound than your skills in folding laundry! Do you have a hard thing in front of you that is calling you to action but it seems too big? Whatever you do, don’t make the decision out of fear. Ever. You never know what amazing things might happen if you choose to allow God to use you. Stay tuned to my next post: An Ethiopian meal that is so flavorful and easy you won’t believe it. I can’t stop thinking about this posting, these sweet families…and our gracious and merciful God…working out so many details, providing $, etc…To each of these families-and the many Many MANY not mentioned here…May our God continue to bless you and surround you with His protection and His favor!!!! I love ethiopian food and I can’t wait to make this meal! Thanks for sharing! I missed the cabbage&sweet potatoes.